At The Insurance Emporium, we love sharing good news! We are dedicated to helping our customers enjoy all of life’s adventures without worrying about what should happen if things don’t quite go to plan. We are constantly striving to improve, so that we are able to offer visitors to the Emporium the best possible level of service. 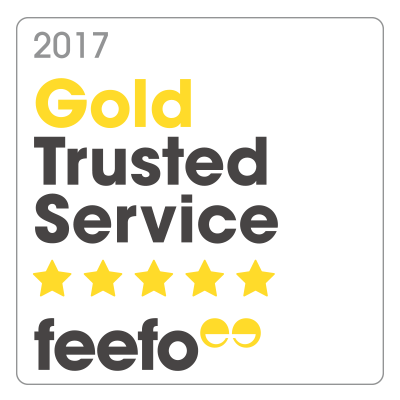 That’s why we’re delighted to announce that The Insurance Emporium, as part of The Equine and Livestock Insurance Company Limited, has won a Feefo Gold Service award, an independent seal of excellence that recognises businesses for delivering exceptional experiences, rated by real customers. The Feefo Gold Service award is highly-prized amongst businesses, making it even more of an accomplishment for the Emporium, and Feefo themselves acknowledged the difference it makes. Things are certainly moving in the right direction here at The Insurance Emporium, so why not stop by again in the near future and find out how we could help you!